Apple’s smart home speaker, the HomePod, will be up for pre-orders starting January 26 in US, UK and Australia. HomePod will arrive in France and Germany this spring. Apple CEO Tim Cook is hopeful that the company’s answer to Google Home, Amazon Echo and their various other interpretations, will be a class apart because of hardware and software Integration. Called the HomePod, the smart speaker with Siri housed inside, will finally go on sale starting February 9, with pre-orders beginning January 26. HomePod was first announced in June 2017 at Apple’s annual developer conference WWDC. The HomePod, just like the Google Home and Amazon Echo, is a smart home speaker powered by a custom A8 chip and Apple’s AI-based voice activated assistant Siri. It has a barrel-like design and houses seven beam-forming tweeters alongside an additional four-inch upward facing subwoofer. You can read all about the Apple HomePod here. Now, even though Apple is clearly very late to the smart home speaker party, CEO Tim Cook says, “Competition makes all of us better and I welcome it.” In an interview with the Financial Post, Cook added, “if you are both trying to license something and compete with your licensees, this is a difficult model and it remains to be seen if it can be successful or not." 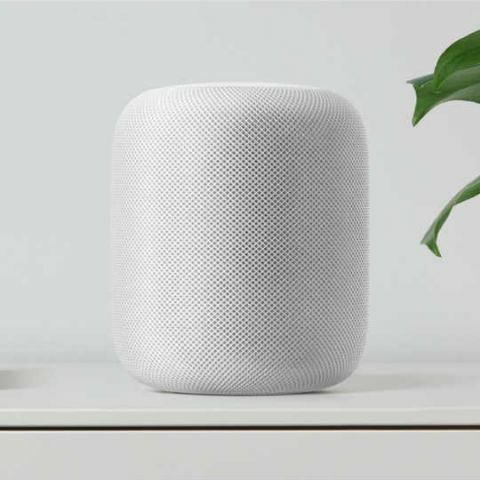 Apart from the smarts that allow the HomePod to control connected home accessories, Cook also highlighted the audio prowess of the device. HomePod makes for a "very immersive audio experience," Cook said in the interview. The HomePod can easily connect to any iOS or macOS device by placing them next to the speaker. The HomePod can play music from Apple Music and can be daisy chained with other HomePod units using AirPlay 2. Apple HomePod is priced at $349 dollars and will be available in space grey and white colour options.